Customers are interested in who is on your team and who they will be working with when they use your services. A new video marketing campaign is the perfect opportunity to introduce the team. Your media agency can spend a little time with everyone from founders to technicians getting their personal take on what it's like to be part of your company and what high-quality customer service means to them. This broad range of perspectives and insight will help your customers feel more deeply connected to your company, inviting them to understand and become a part of your company culture and employee community. Introducing the team is also an effective method for smaller groups of professionals working together like real estate agents. These videos can help potential clients get to know who they will be working with and form a more personal connection to them before business even begins. Happy customer reviews are a powerful marketing tool in any form. Many websites include quotes from pleased previous clients on their main page, in the 'about us' page, or sprinkled throughout the site as an interesting way to give new customers context for what they can expect. However, if you think text quotes pack a punch, consider trying recorded customer reviews. For regular clients that love your work, ask them to sit down for a few minutes with your videographer and share their customer service experience. When truly happy customers record a review in video form, it becomes immediately obvious that you're not using hired actors or making up complimentary quotes. You present new customers with a video of a real person, just like them or completely different, that has genuinely enjoyed your service. Their pleasure at the quality of their customer experience will shine through, reaching out to new customers in an incredibly influential way. These videos will show that you not only have real, happy customers, but that you care about them and think they deserve to be heard. People love to look up how to do things online. Written guides are perfectly useful but many people are visual learners and prefer to take instruction from a video. Whatever your industry does, you can use that knowledge to create helpful and informative how-to videos on everything ranging from property maintenance to IT security measures. When released into the world, these guides have the potential to become overwhelmingly popular in the DIY crowds and gain thousands of hits on YouTube from customers and distant strangers alike teaching themselves how to do what you've explained. Videos that explain something useful that a lot of people want to understand are candidates for becoming viral, shared between other industry sources, DIY enthusiasts, and everyday people who get curious. With a vast depth of industry knowledge, could make dozens, if not hundreds of 2 to 10 minute videos explaining various tricks of the trade. This gives you the opportunity to pick and choose the best lessons to teach or create popular series' of videos that will increase your authority positioning as well as connect to potential customers as a marketing method. Modern customers like the casual vibe. They want to feel included in a business that doesn't take things too seriously and they like to know what's going on behind the scenes. You can use this combined interest to invite customers to experience your company from the other side. Take your video recording team into the offices, cubicles, workrooms, and even processing facilities of your business and welcome your customers into how services are put together for them. Even if you don't think it comes across as glamorous or polished, many customers will appreciate the transparency and casual open attitude displayed when you unabashedly pan over the break rooms where great ideas occur and the actual desks of the 'help desk' crew. Through these videos, customers will be able to almost reach out and touch your business, and will feel much more deeply connected when they've seen more than just the corporate face. 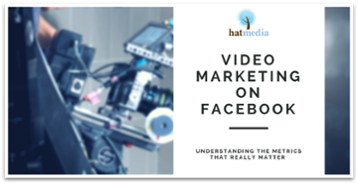 Video marketing is a versatile and useful tool. In previous eras of advertisement, it would have been used to show only the well-polished exterior and final products of a business accompanied by a formal announcer-voice describing how wonderful your services are. However, modern consumers prefer a chatty, casual tone and insights into how their service is put together instead of the promotional polish. With inviting and inclusive video marketing strategies, you can reach directly out to potential customers and help them feel included in your company as a whole.